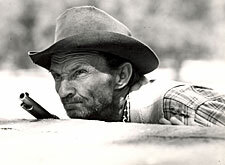 For 26 years, from 1946 to 1972, wiry, grizzled, William Fawcett played old coots of all sorts—grumpy sourdoughs, cooks, judges, doctors, stablemen, store clerks, ranch hands—whatever old-timer the script called for, Fawcett was a perfect fit, whether teeth in/teeth out, glasses on/glasses off, long hair/short or balding hair. Born William Fawcett Thompson in High Forest Village, MN (Olmsted County), September 8, 1894, to William and Zilpah Thompson, his Methodist clergyman father came from Australia and his mother from Wales. His Fawcett middle name was acquired from the doctor that delivered him when he was born. The brown-haired, gray-eyed Fawcett had three younger siblings, two sisters, Francis and Margaret, and a brother Henry. Expected to follow in his father’s footsteps, attending Hamline University in St. Paul, MN, by age 22 Fawcett was licensed to preach by authorization of the Methodist Episcopal Church on September 5, 1916. 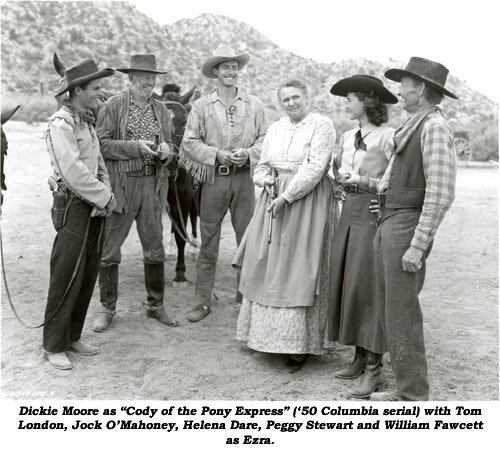 However, when Bill returned from service with an ambulance corps during World War I, he elected to become an actor, first in Canada then in the U.S.
His acting had actually begun at a young age in church dramas. 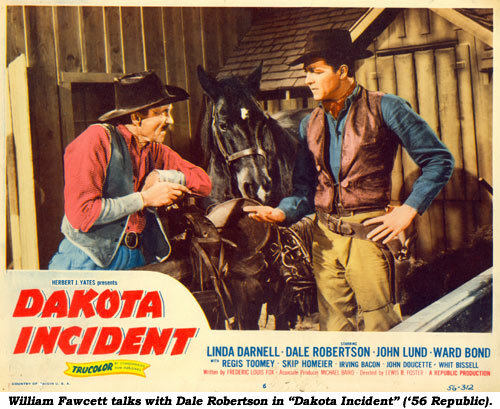 He went on to perform in repertory theatre and stock companies during his 20’s and 30’s until talking pictures put these companies out of business. In 1925 Bill married stenographer Helene King of Canada in Minnetonka, MN. They were wed until his death. Becoming a teacher of English and dramatic literature at the University of Nebraska, he earned his M.A. and Ph.D. degrees and became a professor of theatre arts at Michigan State University. During WWII Bill worked in shipyards in San Francisco and Oakland. 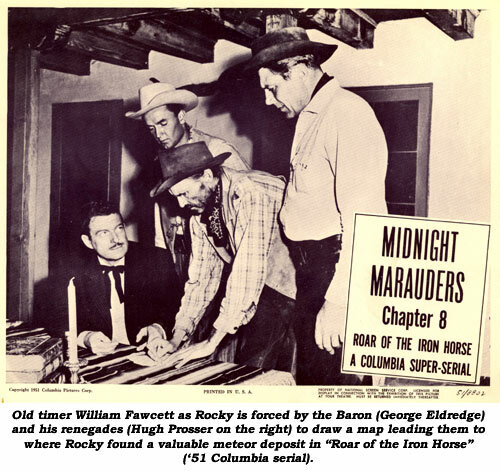 By ‘46 when he headed for Hollywood, he was 52 and was already possessed of a wonderfully detailed old-timer’s face which immediately gained him work in Eddie Dean and Lash LaRue B-westerns at PRC. He soon linked up with Columbia serial producer Sam Katzman, appearing in 17 of Sam’s chapterplays (as well as two at Republic). 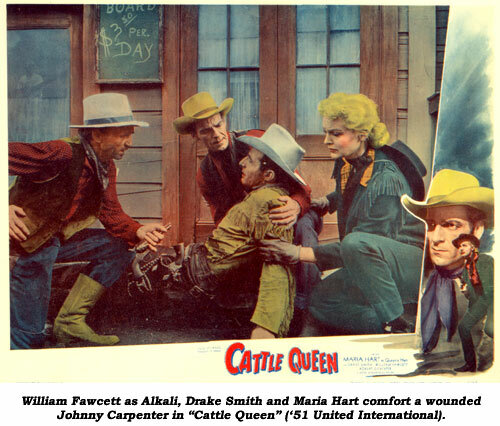 Fawcett eventually worked in some 400 movie and TV productions, including over 60 western movies, 19 serials, and over 200 TV episodes, the preponderance of which were western. Besides his grizzled character roles, he occasionally turned out to be the bad guy. 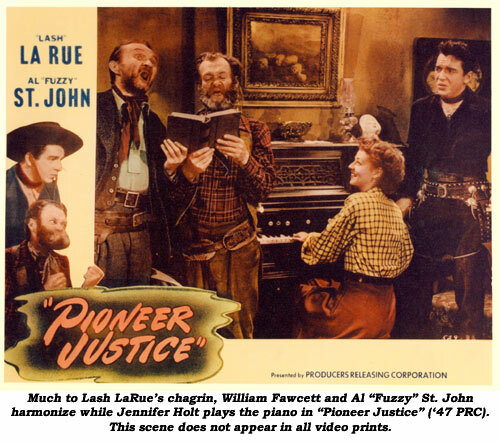 He was a crooked judge in Eddie Dean’s “Stars Over Texas” (‘46) and “Check Your Guns” (‘48); Jennifer Holt’s uncle who is the gang’s secret leader in Lash LaRue’s “Pioneer Justice” (47); the express bandit boss on “Cisco Kid: Outlaw’s Gallery” (‘52); a crooked assayer on “Annie Oakley: Bull’s Eye” (‘54); a crazy old ghost town blacksmith gang boss in “Gene Autry: Ghost Town Raiders” (‘51) and the surprise hotel owner thief in “Gene Autry: Thunder Out West” (‘53). 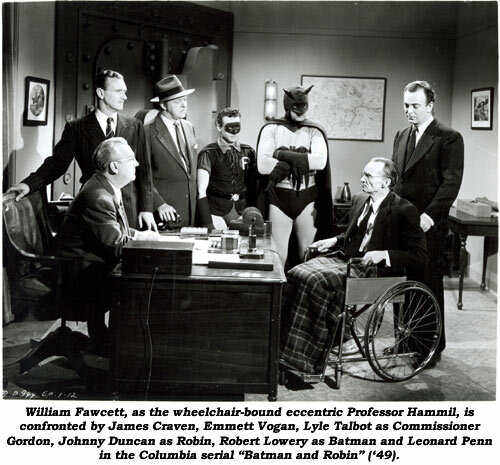 Of his hundreds of character roles, he was memorable as the murdered sheriff in Eddie Dean’s “Driftin’ River” (‘46); as Professor Hammil, an eccentric invalid inventor suspected of being The Wizard in “Batman and Robin” (‘49); as the long-bearded wizard Merlin in “Adventures of Sir Galahad” (‘49); Jock Mahoney’s sidekick Ezra and Rocky in “Cody of the Pony Express” (‘50) and “Roar of the Iron Horse” (‘51); as Onslow Stevens’ foreman Washoe who sacrifices his life in the final mine shootout of Gene Autry’s “Hills of Utah” (‘51); as sidekick Alkali in “Cattle Queen” with Maria Hart; a feuding ex-Confederate soldier in “Gene Autry: Civil War at Deadwood” (‘54); miner Rocky, constantly being rescued by Marshall Reed in “Riding With Buffalo Bill” (‘54); George Montgomery’s trusty scout in “Seminole Uprising” (‘55); old time lawman Dead Eye Jones in “Lone Ranger: Dead Eye” (‘57); an eccentric old prospector on “Buffalo Bill Jr.: A Diamond for Grandpa” (‘56); recurring roles as Capt. 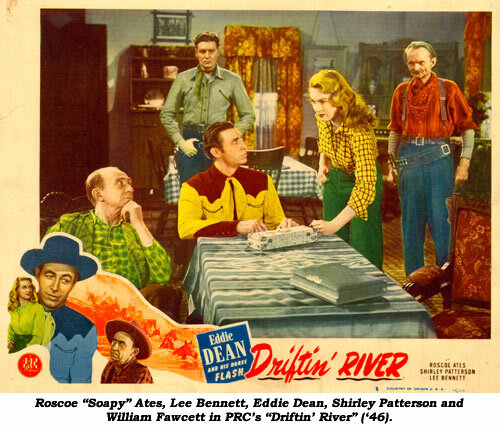 Longey, a tetched Ancient Mariner in two episodes of “Rin Tin Tin” (‘54, ‘56); as aged ex-Marshal Higgins on three episodes of “Rin Tin Tin” (‘55-‘57); and as a stubborn old rancher on “Bronco: Immovable Object” (‘62). 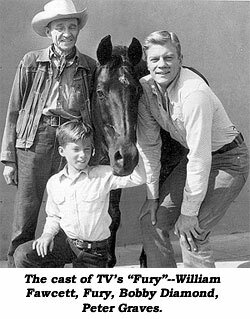 Even with all these roles, many viewers still remember Fawcett as irascible ranch foreman Pete Wilkey on NBC TV’s “Fury” (‘55-‘60) with Bobby Diamond and Peter Graves.